It’s a difficult task to describe how a mere budding moustache on Brendan Bjorn is making me feel. 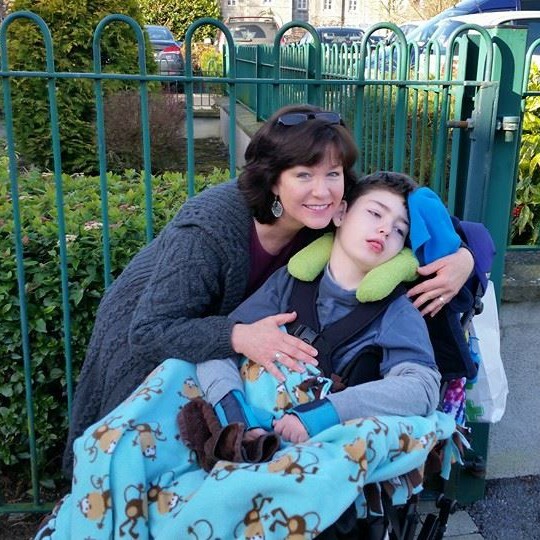 This is where being a carer to your severely disabled child with a life limiting condition comes into stark contrast with being a typical parent. This is where being a carer of such an angel can play cruel tricks on your heart as your mind is let to ponder a future that won’t be…a future where your son becomes a grown man, goes to University, meets the love of his life, has his own family…and so on and so on. I decided to let the moustache grow. I’ve been shaving Brendan Bjorn’s budding moustache for a few months now but something this past week prompted me to stop and let it grow. Were he a typically healthy young man who will turn 15 in October, I don’t know if he’d want it to grow or if he’d be mad to shave it off every day. It’s up to me. Everything is up to me to decide when it comes to Brendan Bjorn. His little brother wants to let it grow. He said Brendan Bjorn deserves the chance to have a moustache like a man. I don’t think I’ll let it go for too long. It just doesn’t seem right at his age. Or, is it because he is my baby? While I’m not sure which it is, I know I will shave it when the time is right. For now, I give him this chance to be that man he could have been, even in some very small way…even though my heart is breaking just seeing it there.